The first BRIDGE RESOURCE MANAGEMENT Course for Genting Hong Kong at Simwave is a fact. Genting Hong Kong performed the first company specific Bridge Resource Management (BRM) course for a group of their captains and officers. During the course 3 Full Mission Bridge Simulators were used. 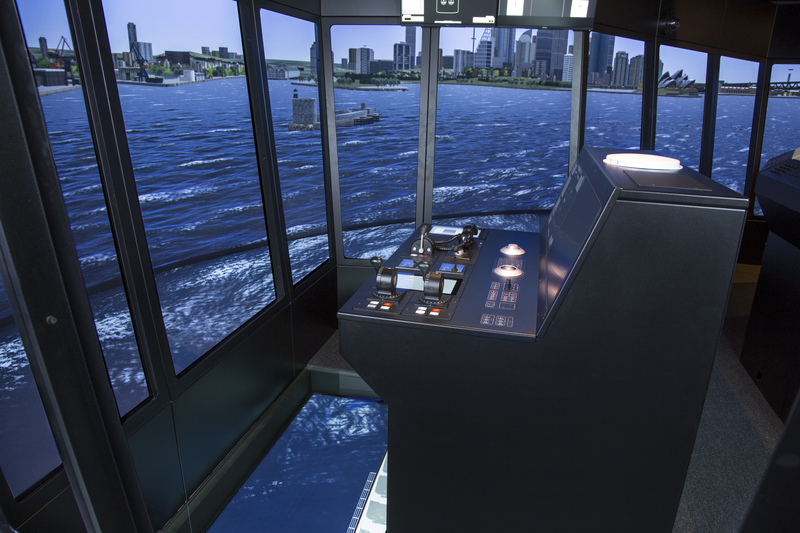 One simulator included Bridge Wings and a Cockpit Bridge layout, exclusively designed for the cruise industry. The course was specifically created for cruise operations and the scenarios were developed in close cooperation between Genting Hong Kong and the team of Simwave. Simwave’s mathematical modelling team modelled the Genting Dream especially for this course and the Visual Database team took care of all the visuals. This is an add-on for training outcomes; training on your own vessel with your own procedures in the areas and ports you visit. During the course the participants used the facility’s full hospitality service including breakfast, lunch and dinner. The five day course has been successfully completed and we are looking forward to provide more courses for the cruise industry. Simwave designed both BRM and ERM courses for the cruise & ferry industry as well as for cargo vessels. Among many other courses that are ready for use are ICE NAVIGATION, LNG BUNKERING, BRM / ERM II and HIGH VOLTAGE.